Biography: Jason Schmidt grew up in Dallas, Texas. He attended the University of North Texas, where he earned his Bachelor’s Degree in Radio, Television and Film in 1995. He attended Texas Wesleyan University in Ft. Worth, Texas, graduating with his J.D. in 1999. 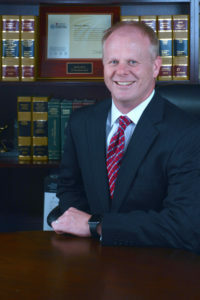 He was admitted to the Texas Bar in November 1999, and the Oklahoma Bar in April 2012. Jason’s practice encompasses the full range of insurance defense litigation and Worker’s Compensation Defense. Jason joined The Silvera Firm in May 2016. He is married with two children. Law School: Texas Wesleyan University (Now known as Texas A & M University School of Law), J.D. Member: State Bar of Texas, State Bar of Oklahoma, Dallas Bar Association, and the Oklahoma Bar Association.